Abu Dhabi: Rainy, windy conditions returned to several parts of the UAE on Friday following a couple of sunny days with similar conditions expected over the next few days. 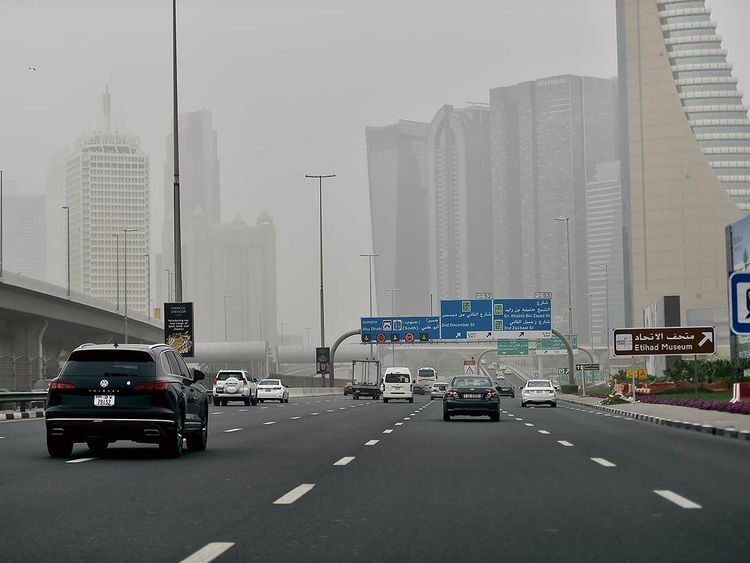 More rain and poor horizontal visibility is forecast over the next few days as the dusty, cloudy conditions are set to prevail at least until Tuesday, met officials have said. According to weathermen at the National Centre for Meterology (NCM), an extension of surface low pressure over most areas of the Arabian Peninsula accompanied by a weak upper air trough, will result in the continuation of inclement weather conditions. Though winter might have officially ended on Thursday, the temperature is likely to see a slight dip over the next few days with the mountain areas in the north witnessing the lows of 11 degrees Celsius while the mercury in the coastal regions will be hovering between 18 degrees and 29 degrees Celsius. Wind is set to pick up speed over the next two days, hitting highs of 60kmph on Saturday and Sunday before easing off on Monday and Tuesday. Met officials have warned that the southeasterly to northeasterly winds, especially over the sea, will continue to cause dusty conditions, kicking up sand and reducing horizontal visibility considerably. Windy conditions will also mean the sea will be rough in the Arabian Gulf and Sea of Oman, with the weathermen urging seafarers to take necessary precautions. Saturday is expected to receive rainfall of varied intensity with chances of a thunderstorm in the northern and eastern parts of the country and similar conditions are likely to continue on Sunday as well. The NCS forecast suggests rain clouds moving towards the coastal area on Monday and Tuesday with chances of morning and evening showers. Authorities have urged motorists to exercise caution as poor visibility and rain conditions increase road hazards.